You would be hard pressed to find another state in the republic that is as musically sound as Mississippi. The birthplace of America’s music has produced some undeniable talent. The city of Jackson alone is home to more than a few capable emcees. Per capita I would put the Jack against any other city in the category, the only challenge would probably come from Detroit. Which is another debate all together. Enter Silas, an up and coming rapper/trumpeter from the Fondren area of Jackson, and no that is not a typo, I said trumpeter. 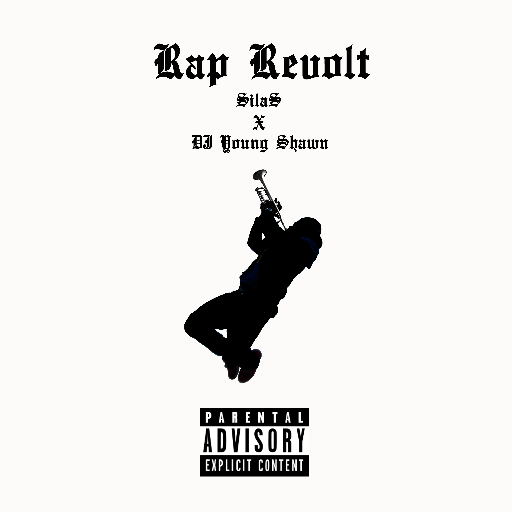 Rap Revolt is Silas’ introduction to a lot of people, and it is a hellova first impression. He runs the gambit when it comes to styles. He tackles every type of sound you could imagine to hear and he does it with style and grace. He effortlessly bounces between tracks, flowing fluidly over tracks pieced together masterfully. If this is his rapping resume, then he’s getting the job. He breaks down a lot on “For The Fans”, explaining what separates Jackson from cities like Detroit, San Francisco, Philly, and New York and why the city does not get the shine it should in the rap game. Then on tracks like “Warm Up Mix” featuring Core DJ Jonasty Silas firmly places his Hip-Hop flag on the steps of the Capital and dares rappers to step up. “Red Velvet Cake” is his stab at the often used “Pound Cake” beat, showing that he can spit over hit tracks just as well as the originals. Then he jumps on Biggie’s “Everday Struggle” and “Shook Ones II” by Mobb Deep, showing his understanding of rap history. Like I said this is one heck of a resume. You do not have to listen to me though, download it for free below and listen for yourself.